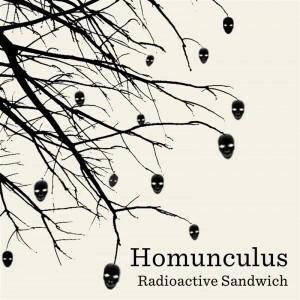 Originally written to showcase the versatility of Image-Line’s FLStudio, Homunculus is Radioactive Sandwich’s newest track to come out of the kitchen. Being that the track was released with the latest edition of FLStudio, Radioactive Sandwich held a remix contest, with prizes provided by Image-Line, to inspire FLStudio users to explore their software even further and encourage non FLStudio users to try the powerful DAW. The 4 remixes presented here are Radioactive Sandwich’s personal picks out of over 2 dozen entries. MP3 Download | FLAC Download | WAV Download · Download count: 12,133. So, is it Homunculus or Homonculus? Cover art says the latter, title(s) the former. ahh good one! amazing vibes! The Original is now my favorite track from Radioactive Sandwich! Fantastic song, beautiful, athmospheric, impressive… Congratulations guys! Excellent! I like the fusion of organic effects and this emotional atmosphere… Great tracks! a little flat, but sense charging nontheless tis amazing…. Great! Is great job! nice vibe! very nice !! I love ….thank´s . totally stunned…..awesome work…the whole atmosphere goes so organic….